We’re celebrating Dyslexia Awareness Month and the successful union between the school and me, the Davis Dyslexia facilitator. We’ve had such successful relationship, it deserves to be celebrated,” said Cristiane, who is also a teacher at the school. She added that the children celebrated their dyslexia and created awareness. 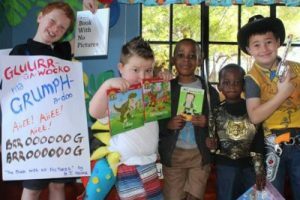 “Dyslexia is not a disability, it’s a thinking style,” Rene Cristiane, a Davis Dyslexia facilitator, who discussed the difference during a Dyslexia Awareness Programme at Dios Los Ninos, a private school in Wilgeheuwel on 12 October. “Davis is a correction programme for dyslexics. We go through the whole alphabet and help the children to read. It is more to adapt them to their strongest suit and thinking style,” Cristiane explained.